Jeffrey and I had a date night on Saturday - dinner and a concert. Tim McGraw and Faith Hill's Soul2Soul tour was in Indianapolis, and we thought it would be fun to see them. We've loved Tim & Faith for years and were really looking forward to this concert. It had to be good, right? Two major entertainers, with multiple songs their fans would love to hear, touring together. They could easily fill up the whole evening and leave us wanting more. Why in the world would they need an opening act? I definitely wasn't expecting that, but some guy came on stage. I have no idea who he was or what any of the songs he did were, because the sound was horrible. HORRIBLE. Sadly, there was absolutely no improvement to the sound. There was so much bass and reverb that absolutely nothing else could be heard. Oh, we could tell that Tim & Faith were singing, but we could barely hear them and could not understand any of the words. And because of the wall of sound, it wasn't just the vocals that couldn't be heard - the sound from the band just kind of blended into the noise, and we couldn't differentiate any of the instruments or music. I'm sure some of those songs were familiar, but who could really tell? 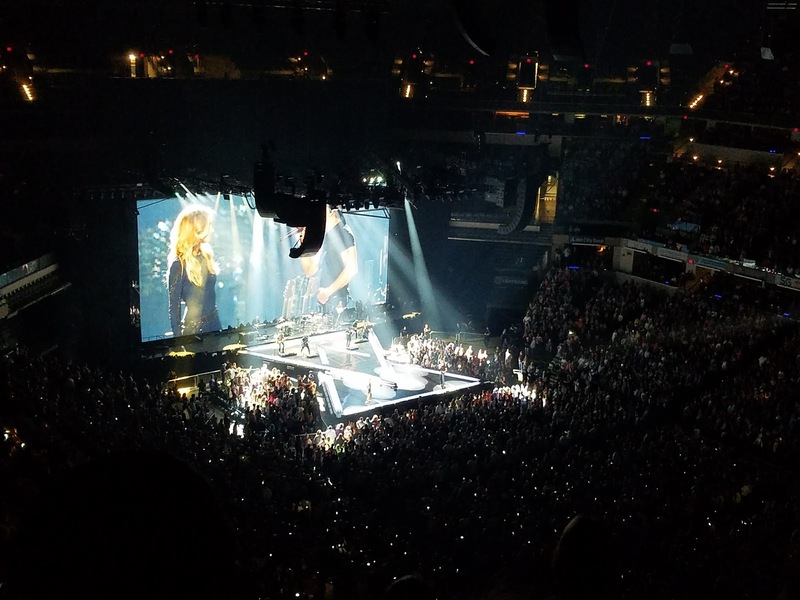 It was like the sound guy thought he was putting on a hard rock concert and really had no clue what Tim & Faith's music actually sounds like. We've been to several concerts, and this was absolutely the worst sound ever. There were quite a few very disappointed people who left early, and several comments about the sound on the Facebook event page - though I'm not sure anyone ever read those. They certainly weren't being read or monitored by anyone during the concert because the bad sound stayed bad. 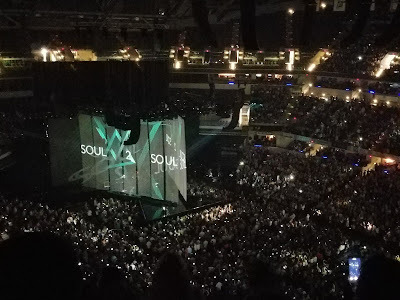 Stage/light show was awesome but sound was awful. Sad that we couldn't understand any words. Anxious to start hearing new songs on the radio so I can hear the words. Still love Tim and Faith but a big disappointment in the show in Indy last night. The sound was horrible!! Left at 930 bc you could hardly make out what they were singing... and to think we drove 3 hours for a headache! Sound is awful. Can't understand the words and can hardly even tell what songs are being played. Disappointing to say the least. We left after Faith's set. It was exhausting trying to make sense of the sound. We came to hear Tim and Faith, not overpowering band and back up singers. I was so disappointed! The sound really was AWFUL. But we stayed until the end, maybe because we kept hoping it would get better, which it did not. Maybe we're just suckers for punishment, or maybe it's just that we'd paid good money for these concert tickets. 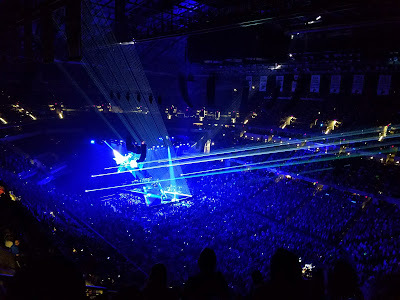 We may have been in the cheap seats - though there really is no such thing as a cheap seat when Ticketmaster gets through charging all their fees - but we still expected a decent concert. 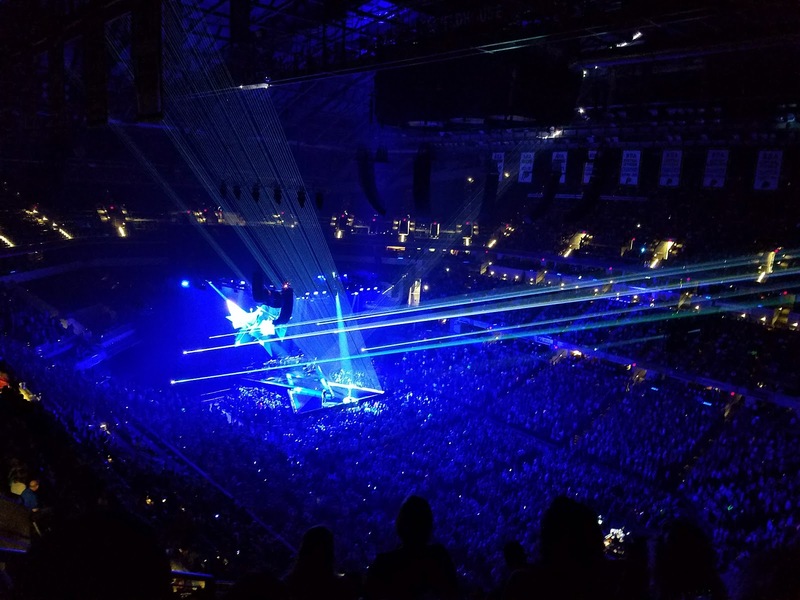 (We saw Bon Jovi last month in seats on the same level but almost behind the stage, and while the view wasn't as good, the sound was MUCH better for that concert) This venue hosts numerous concerts, so I'm pretty sure that the sound is usually decent. It has to be, right? They couldn't regularly sell worthless tickets, right? The lights and visuals were awesome, but sadly not worth much if the music isn't there to go with them. 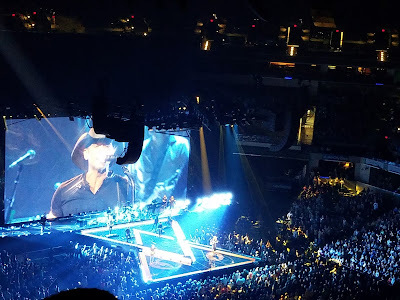 I would have been happier listening to Tim & Faith with absolutely no extra splash - if only I could have HEARD them. 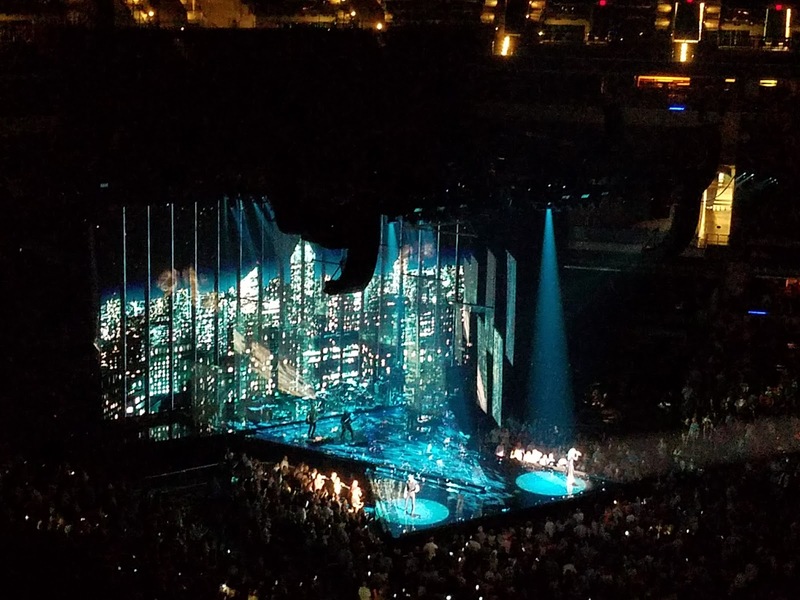 The light show was worth a little something, though I hate to think that Tim & Faith have put that much into their show (heart and soul) and do not realize that the sound is so bad that their fans cannot hear or understand anything they are saying or singing. Because I have to believe they don't know what the show sounds like from out in the audience. It's either that or they're trying to impersonate rock stars instead of being the genuine people I thought they were. 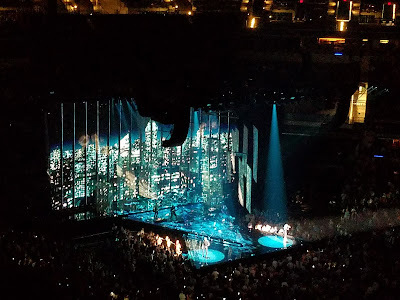 Overall, it was a VERY disappointing concert - a waste of money, and a waste of time. And definitely not up to par with their past tours.